Technology has come a long way in home design. My guest blogger, Lillian Connors, is back with some innovative ideas on how to add high-tech upgrades to your contemporary home. A truly contemporary home is simply unimaginable without the latest technological equipment. On the other hand, the technological advancements in all areas of home electronics are so rapid that it is hard to keep the pace with them. What is worse, it often happens that people spend a fortune on such investments and still end up dissatisfied. Narrowing the list and choosing the best from what is offered takes some expertise and this is where guided assistance is of great aid. 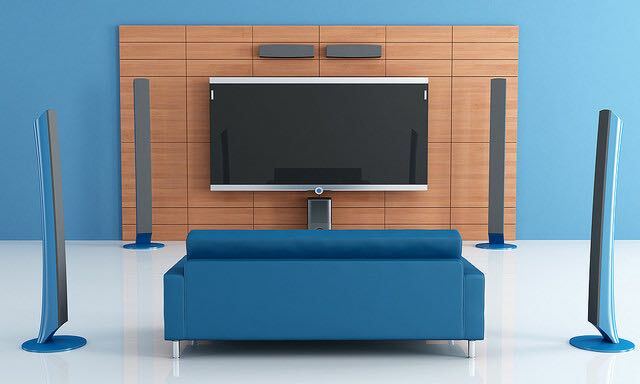 With all this in mind, these techy upgrades will certainly turn your home into a truly contemporary one. The days where you had to reach for a set of keys and endlessly look for the one to your entrance door are long gone. 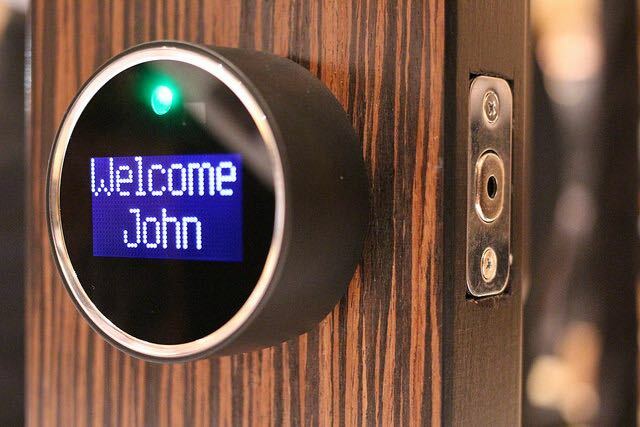 Smart locks are taking over. When it comes to this trend, there are several entry methods that are most commonly used. The first one is Bluetooth and radio frequency identification that enables locking and unlocking the door automatically once you approach it. On the other hand, biometric system uses fingerprint identification. Some of them can even be remotely controlled via an app, which is very convenient in case of emergency. For example, if anything happens while you are away, you can remotely unlock it for your neighbor in order to get the problem fixed. 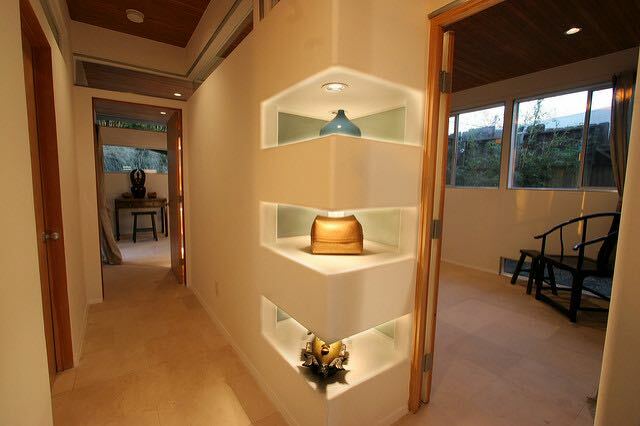 Truly contemporary homes feel somewhat out of place with dozens of manually operated light switches installed. Voice and remote control operations are now applicable to all types of lighting solutions, from ceiling fixtures to desktop lamps and task lights in all rooms of the house. Next, dimmer control will enable you to adjust the luminosity to suit the occasion. Finally, this is a great opportunity to do something for the environment, as well. By using LED lights, you will make significant energy savings and, at the same time, create a truly contemporary lighting setting. In the light of the ongoing environmental issues, a truly contemporary home has to be an energy efficient one, as well. Improving lighting is just one of the areas where improvements can be made. Energy consumption monitor will help you get the overall picture of how energy efficient your home is and track the amount of energy used by individual systems, such as cooling and heating, furnace and water heater. Addressing the problematic areas will turn your home into an energy efficient one. Many think that getting the best TV set on the market is enough. Well, not quite. Nowadays, it takes much more than a high quality TV set in order to achieve the best TV experience. With the Internet TV and video streaming constantly expanding the frontiers of TV experience, the whole concept of television shifts towards the multimedia level. Therefore, in order not to miss on anything, the best approach would be to compare broadband bundles for best deals. A high quality TV set and the best available broadband bundle that suits your needs make a perfect combo. All these techy upgrades are achieved by using electronic equipment. In order for it to function properly and durably, the quality of electrical power needs to be constant. The biggest threat for this sensitive equipment comes from voltage surges. Even though they cannot be prevented, the serious and often devastating consequences they leave can be controlled by using surge protection. You can use individual surge protection strips for single pieces of the equipment or opt for a whole house protection installed on the main electric panel and stop the surges before even entering your home. These upgrades will not only make your home look more contemporary, they will make your life more comfortable, sustainable and enjoyable. What is more, as the time passes and new developments are made, they will inspire you to make additional improvements.